When you think of the color yellow you think of something that is bright, cheery and noticeable. It means caution and safety. That is what you can expect in this Occunomix LUX TP2/FR Y Men's Hi-Vis Yellow Cotton Blend Flame-Resistant Safety Shirt will color you saf ... (see full details) (see specifications) #OCCLUX-TP2/FR-Y. When you think of the color yellow you think of something that is bright, cheery and noticeable. It means caution and safety. That is what you can expect in this Occunomix LUX TP2/FR Y Men's Hi-Vis Yellow Cotton Blend Flame-Resistant Safety Shirt will color you safer. This high-visibility tee is crafted to be ANSI Class 2-rated to offer you the utmost protection. The classic crew neck design with short sleeves and a relaxed, roomy fit provide you with comfort that makes working easy. Of course, the fabric of this Occunomix shirt doesn't hurt. It's 7.75 ounce, 100% ANSI material. A combination of modacrylic, cotton, and polyester come together to create fabric that's breathable, machine-washable, and moisture-wicking. That means it actually draws sweat away from your body, so you stay dryer. By the way, this moisture-wicking shirt is flame-resistant. It meets ASTM F1506 standards for resistance to burning, scorching, and melting. It has an ATPV rating of 10 cal/cm2 and meets HRC 2, Hazard Risk Category 2, requirements. The material of this FR shiet also meets NFPA 70E regulations. That means the National Fire Protection Agency approves, too. The design is so safe, it's finished with flame-resistant Nomex thread. This tee shirt is flame-resistant for the life of the garment. It’s not just the bold yellow color that keeps you highly visible. It’s also the reflective taping. The 2-inch wide bands go up over the shoulders and once around the chest. The silver reflective taping keeps you easier to see when you’re in the dark. A chest pocket adds convenient space for small items when you wear this yellow shirt. Want to customize this Occunomix LUX TP2/FR Y Men's Hi-Vis Yellow Cotton Blend Flame-Resistant Safety Shirt? The Working Person’s Store does embroidery so you can add logos, names, or anything else you like. Whatever you do, we know you’ll like this safety workwear. This shirt helps with not only a high visibility look but is also comfortable during high temperature time. I work fueling trains and required to have high vis clothes or vests while working and they must be FR. This shirt takes care of both requirements. They have the same issue as all high vis clothing and they are considered worn out after 25 washes. I use these shirts when operating a wrecker and they really help with being seen. It doesn't matter if it's day or night, the yellow is really bright and the reflective stripping gets noticed quickly (and from a good distance at night.) In this line of work, safety is a big factor and these shirts help with that aspect. 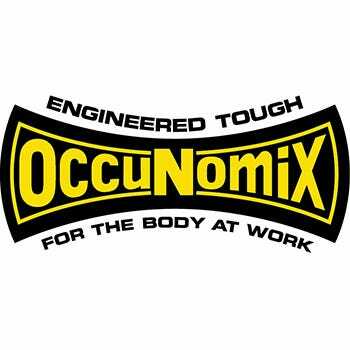 Occunomix Shirts: Men's Hi Vis LUX TP2/FR Y Yellow Flame Resistant Safety Shirt is being added to your cart.